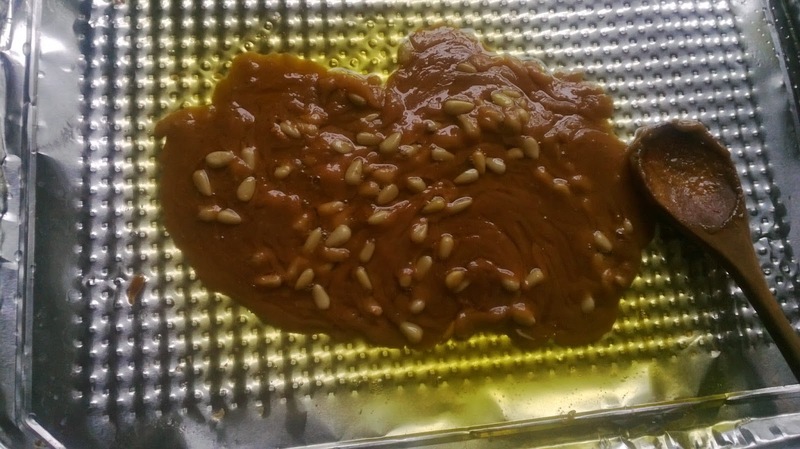 I failed at making Dali’s toffee with pine nuts recipe. Dali advises that the chef combine 2.25 pounds of sugar and 1 cup of water in a saucepan over a medium flame and cook the mixture until it has turned brown and smells somewhat burnt. At that point the chef should remove the mixture from the stove and add a tablespoon of butter. Next the cook is to pour this gooey substance over the pine nuts, which are spread over a greased marble slab. To finish, he suggests squeezing the toffee to form it into little sausages, which then are cut into candy size. 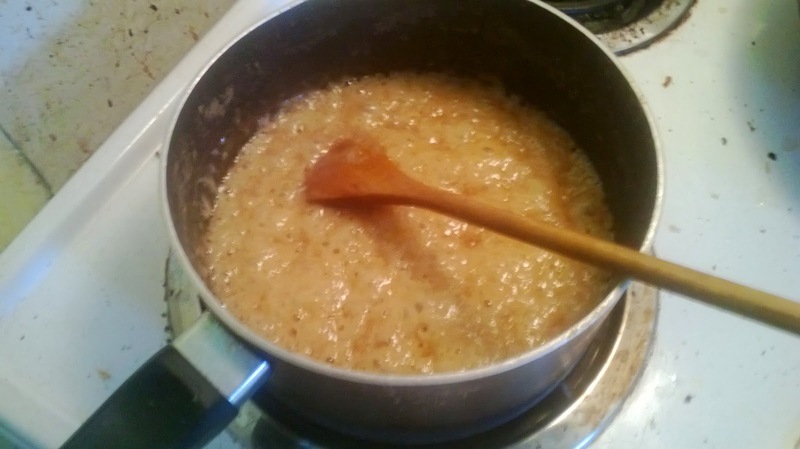 I followed every step of the process, but as you can see in the above picture, the mixture never turned brown. Instead the water seemed to burn off and I ended up with a white pile of burnt tasting sugar. Yuck. Wondering what went wrong, I looked at other toffee recipes online—and found "Best Toffee Ever", one of the most popular toffee submissions on Allrecipes.com. In that recipe, you use 2 cups of sugar and 2 cups of butter in the sauce pan, over a medium heat. I attempted the recipe and it worked perfectly the first time. So I wondered, why did I fail at making Dali’s recipe? Was it because he used so little butter? Does Dali’s recipe for toffee, which he also called caramel, actually refer to an altogether different type of candy? Toffee and caramel candies are not a recent phenomenon. In fact, the word caramel was first recorded in the English language in 1725. It comes from the Spanish caramelo and from Greek before that (John F. Mariani, Encyclopedia of American Food and Drink). The soft caramel candies that we tend to eat at Halloween, however, are an American invention. While the inventor of soft toffees is not known, there is plenty of evidence that even in 1650, Americans would boil water and sugar in kettles in their fireplaces to make hard candies. 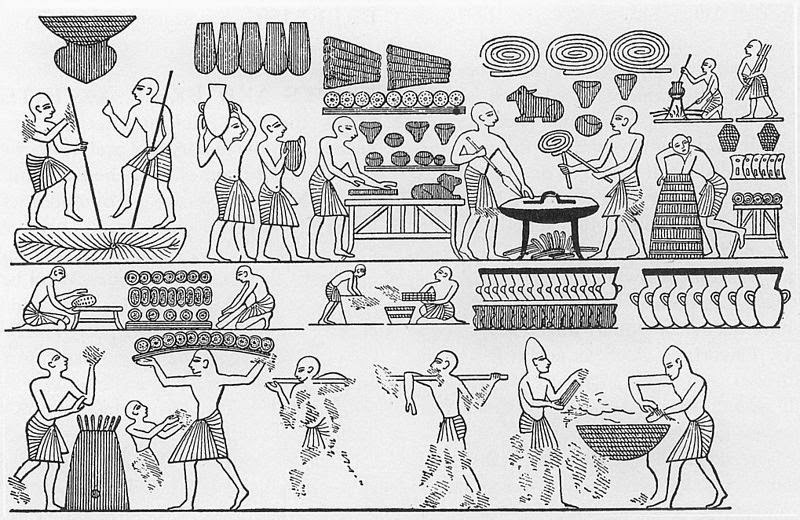 Eventually the process came to include butter and/or milk, creating the tasty treat we know today (E. Skuse, Complete Confectioner). By the mid-19th century, there were almost 400 companies manufacturing hard candies and caramels in the United States. Fun fact: Milton Hershey’s first business was the Lancaster Caramel Company. He actually learned to make chocolate when seeking a coating for his caramels (Tim Richardson, Sweets). To maximize profit, manufacturers began to cut corners by supplementing the butter and cream for products like coconut oil, which as a result significantly altered the taste. 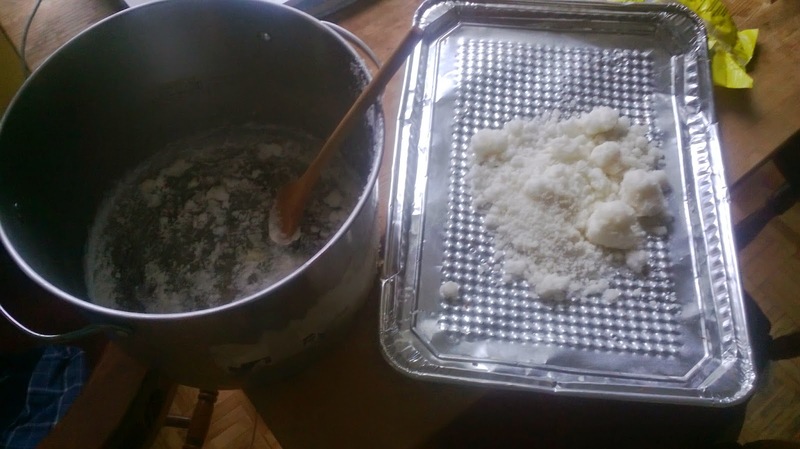 Dali’s recipe is much closer to the Arabic candy kurat all milh (roughly translated to ball of sweet salt). 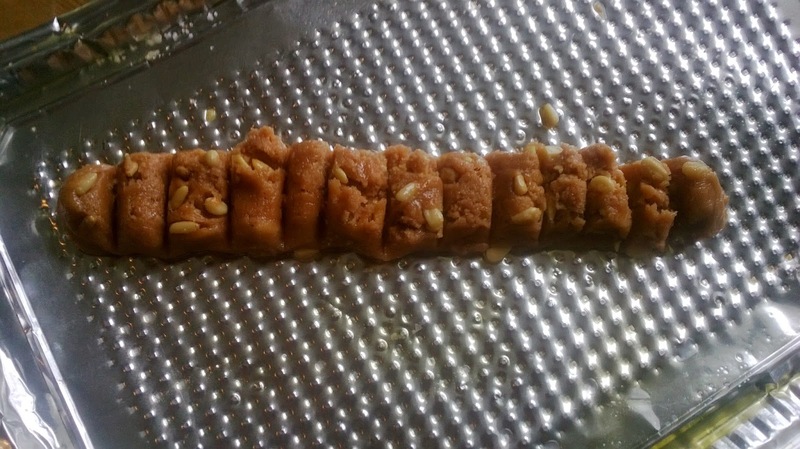 Kurat all milh is a treat made by boiling sugar until it became brown and bitter. Perhaps I used the wrong type of sugar or had the burners at too high of a setting. Despite my love for sweets, I do not have much experience making candies. Perhaps some of our readers have had better luck with toffee recipes like Dali’s. Please let us know in the comments. 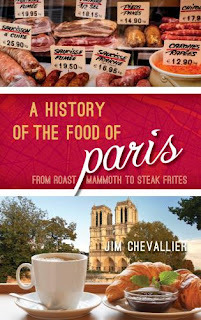 John F. Mariani, Encyclopedia of American Food and Drink. New York: Lebhar-Friedman, 1999. Tim Richardson, Sweets. New York: Bloomsbury, 2003. E. Skuse, Skuse's Complete Confectioner. London, England: Kegan Paul, 2004. Fun fact: Canada's oldest Candy Company is from New Brunswick! Ganong was the first to 1) wrap candy bars in cellophane (for fishing trips) and 2) develop a heart-shaped box for assorted chocolates. Take that Hershey's! NB represent! This looks great.Thank you so much for sharing this toffee recipe.Definitely I want to try this soon.Your presentation is good.